Internet Adoption – almost everybody? Not quite. According to the Pew Fact Sheet, in 2015, 63% of the surveyed population aged 65+ used the Internet. Can we explain this underutilization as strictly a result of lack of training? Maybe we should look at another factor, like income – half of older adults (aged 65+) had incomes of less than $22,887 from all sources – and also observe that 29% of adults aged 65+ live alone. [Note: half of the older adult households received less than $38,515 of income from all sources.] It is not a leap to conclude that lower income older adults who live alone are the least likely to access the Internet. No big deal, one might say, except that so much of the useful advice, for example, NCOA’s Economic Checkup, for lower income seniors, as well as other resources, is online. Mobile – almost everybody? Not quite. Looking at mobile adoption, by 2016, 80% of the 65+ population now own a cell phone and 42% have a smartphone. The difference in ownership based on income is striking – smartphone ownership overall passes 88% among college graduates, 93% among those with $75,000 in income. The Pew charts don’t say, but let’s assume that among the 65+ who have a smartphone, these owners have higher income and are better educated – and despite hype, still are not likely adopting telehealth technologies like video visits. If Pew were to post a 70+ group, as AARP did recently, they would no doubt see a lower number – 29% versus 42% having a smartphone. Is non-usage of smartphones for older adult a big deal? Just if you want them to be among the 7 million users of telehealth services by 2018. Social Media – does it matter to older adults? Not so much. This may be the most intriguing of the Fact Sheets, where social media use by the 65+ population actually dropped from 35% to 34% in one year. Note that the AARP survey of the 70+ population found 43% of the computer or tablet-owning group willing to access a social media site. Jumping rapidly to a conclusion, then, the older one is, the more skeptical about the value of social media. 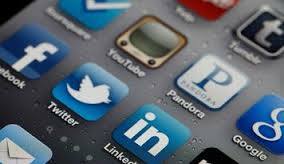 As an FYI, Nielsen’s most recent survey noted that for the 50+, only 20% of their media access is spent on social media. So maybe the skeptics are well-represented in the 54% of AARP survey responders (p. 24, see aged 50+) who are not very or not at all confident that their privacy on wireless devices will be protected. Permalink Submitted by Peg Graham (not verified) on Mon, 02/06/2017 - 14:12. Would add to the reasons for a 63% internet usage stat: Lack of broadband in rural areas of the country. For example, here in NYS, large sections of the "North Country" can't even get cell service, let alone an internet connection. Many people are aging in their homes in these counties.